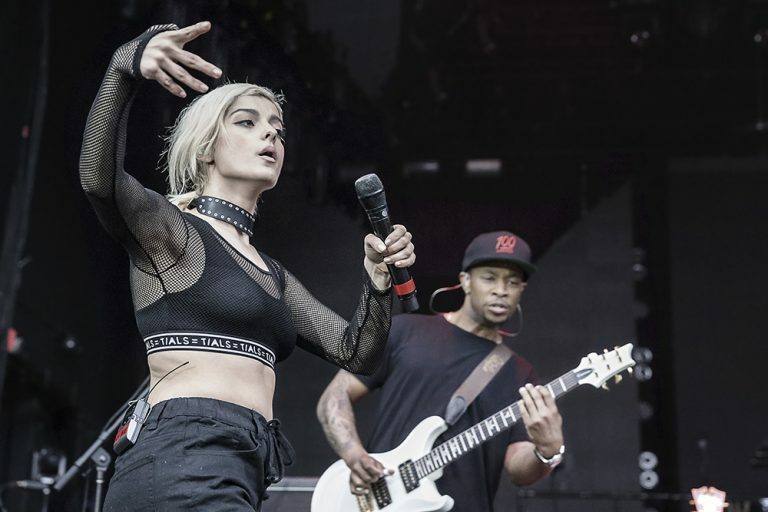 ARTICLE: BEBE REXHA TAKES THE STAGE! If you haven’t heard of Bebe Rexha yet, it’s your own damn fault! Bebe has been working on her vocals since she was 4 years old. She’s had success writing for Eminem (“Monster”), Gomez (“Like a Champion”), and recording with Cash Cash (“Take Me Home”) and David Guetta (“Yesterday” & “Hey Mama” also featuring Nicki Minaj). The success of those songs has lead to the start of her own solo career. She performed at Express Live on Tuesday in Columbus, OH. Her set was only 30 minutes long, but she needed only a moment to captivate everyone in attendance. She has eyes that anime artists have been trying to emulate for decades. Her moves are there to prove a girl from Brooklyn can dance better than most. “Sweet Beginnings” is my pick from her I don’t want to Grow up EP that released last year. The lyrics are on point, and the best part about her owning the voice that wrote those lyrics is you can feel her yearning to begin again. Many of her lyrics are that of words too hard to speak. Her latest hit “Me Myself & I” with G Easy hit #7 on the Billboard Top 100 and is currently all over the US radio.